An application to your financial institution can be filed for a mortgage modification. This is a long and difficult process and unfortunately in many situations, the request for mortgage modification is denied. Forbearance Agreements are agreements to allow you to catch up on your Mortgage while either freezing or modifying the mortgage payments. They are very similar to mortgage modification arrangements. You can simply deed your house back to the financial institution. You can sell your house, pay off the mortgage and keep the balance of the proceeds from the sale. If your house is worth less than the amount of your mortgage, you have to initiate a short sale with the permission of your financial institution. 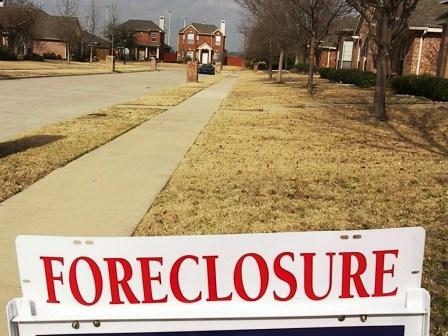 Experienced Foreclosure Defense Attorneys can help you in defending foreclosure proceedings. Due to the large volume of cases, currently pending in New York State Courts, it could be 12 to 24 months for the foreclosure to be completed. Does this mean the bank owns my house? Foreclosure is the start of a process whereby a financial institution that has a mortgage or equity loan on your home seeks court intervention to have the house either sold or have the deed put back in the name of the financial institution. It is a long and detailed process. The foreclosure Is the start of the process and not the end of the process. The end of the process is the point at which you lose your home. The best way to deal with this process is to hire competent, experienced, Foreclosure Defense Attorneys. Fighting foreclosures are difficult but they can be dealt with by experienced dedicated attorneys who understand the foreclosure process. Feel free to contact our office anytime for information or a free consultation regarding our mortgage modification, foreclosure, and bankruptcy services. We will help you decide which path is right for you and then we will help guide you through the entire process. You can reach us 24/7 at 800-344-6431 or click here to e-mail us. If you have a regular income and, after paying off all of your necessary expenses, you have some money left over to pay down your debts, the court will “restructure” your debts over a 5 year payment plan with little or no interest. The major advantage of this type of bankruptcy is that you will be able to keep all of your assets and will not be forced to liquidate them to satisfy your debts. 100% of secured debt must be paid off or made current during this payment plan. This refers to debts which are secured by a specific piece of property like a car or home. With regard to these secured debts like a mortage, the payment plan will give you time to become current and avoid foreclosure. These overdue amounts must be fully paid at the end of the five year payment plan. Non-secured debts, on the other hand, like hospital bills, credit card bills, lawsuit judgments and payday loans will only be paid back over the payment plan period according to how much you can afford to pay. When you complete the payment plan, most unpaid balances of these debts will be discharged by the bankruptcy court. Over the course of the three to five year plan, you will make the ongoing agreed-upon payments to your creditors and they may not try to collect more than they are entitled to under your Chapter 13 payment plan. Once you complete all payments during the five year period, the court will grant you a “full discharge” of your outstanding balances. However, as with Chapter 7 bankruptcy, the discharge will not absolve you of the obligation to pay certain non-secured debts like child or spousal support obligations, most student loans, and many tax obligations. You may contact our office for a free consultation with an experienced bankruptcy attorney with regard to whether this or another type of bankruptcy may be appropriate for your situation. Who Should file for Bankruptcy? How Do I Rebuild My Credit After Bankruptcy? In order to qualify for Chapter 7 Bankruptcy, you must pass the “means test.” That means that if your income is less than the median income in your county, you qualify to apply for bankruptcy protection. In order to find out if your income is above or below the median income for your area, please contact our office and one of our experienced bankruptcy attorneys can apprise you of where your income falls in the context of the “means test.” If, however, your income is above the median income for your county, you may still qualify, but additional information that you provide will have to be. When one files for Chapter 7 bankruptcy, the court appoints a trustee who will collect and sell (“liquidate”) all non-exempt property and distribute the proceeds to the appropriate creditors. Any remaining dischargable debts will be discharged at the end of the process. Basically, if you have few assets, do not have a regular income or you do not have enough income to meet your basic needs and have something left over to help pay down your debt, then Chapter 7 bankruptcy might make the most sense for you. It will allow you to start fresh as quickly as possible, with the possibility of receiving a discharge of your debt in as little as a few months. If, however, you have a regular income and can meet you basic living expenses with a little bit left over every month, your goal may be to reorganize your debts to a manageable level in order to pay your way out of debt. In this case, Chapter 13 bankruptcy would probably be the right choice. In a Chapter 7 bankruptcy, all of your non-exempt property would be sold (“liquidated”), and the proceeds of the sale would be used to pay off a portion of your debts. If you have few assets, this type of bankruptcy may be the best option. For more information on which assets are considered exempt from sale in a bankruptcy proceeding, see the page on Chapter 7 bankruptcy. If, on the other hand, you have a lot of non-exempt assets, such as a house, or you have regular income, you may have more to lose by having your assets liquidated to satisfy your debts, or a portion of your debts, than you would by creating a payment plan to pay off your debts over several years. In that case, you should probably consider filing for bankruptcy under Chapter 13. Contact our office for bankruptcy filing information and help. Generally, if you do not have enough money to pay your other debts after you pay the bills for your necessary expenses each month, you may file for bankruptcy. Most people who file for bankruptcy are either unemployed, have large medical expenses, have seriously over extended credit, or encounter large unexpected expenses. · You must not have been granted a Chapter 7 bankruptcy discharge within the last eight (8) years, or, if you have received relief under Chapter 13 of the bankruptcy code, you must have completed your Chapter 13 payment plan. · You cannot have had a bankruptcy petition dismissed for substantive reasons within the last six months. · It cannot be “fundamentally unfair” for you to receive relief under Chapter 7 of the bankruptcy code. After you have filed for bankruptcy, your creditors may no longer contact you. The court will notify all of the creditors listed in your bankruptcy filing that you have filed for bankruptcy. Once they receive notice from the court, usually a couple of weeks after filing, they must stop all collection efforts and you should then be free from collection calls or any other type of collection efforts. If, despite notice of your bankruptcy proceeding, your creditors continue to contact you, they may be liable for court sanctions or your attorney’s fees. If you are drowning in debt and you feel that you are unable to pay your way out on your own, we can help you make a new start by filing for bankruptcy. Read this article to help you decide which type of bankruptcy is appropriate for your situation.